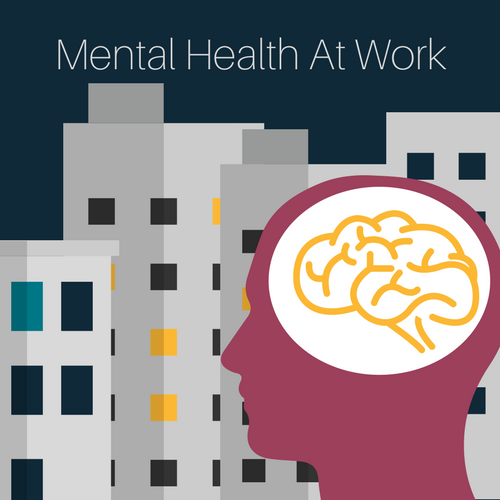 Supporting Mental Health at Work | Challenger, Gray & Christmas, Inc. The recent mass shootings, political news, and natural disasters are having a big impact on American workers’ mental wellness. However, talking about mental health in the workplace is still somewhat taboo. Employers need to acknowledge that mental health is a major productivity and morale issue and consider what steps they can take to provide employees with the right resources, according to one workplace authority. “With the divisive political climate in the United States, tensions abroad, and the slew of natural disasters over the last year, it’s easy to see how these stressors can add up and negatively impact mental health,” said Andrew Challenger, Vice President of global outplacement and executive coaching firm Challenger, Gray & Christmas, Inc.
Workers who are exposed to too much stress can have perception, memory span, learning, and sleep issues. When their job is also a stressor, workers are subject to a raised risk of heart disease, according to a 2015 joint study by University College London and Harvard University. “One of the most critical steps is offering benefits. With one in five people in the United States suffering from mental health-related illnesses, having a benefits program that recognizes that these issues are common can help employees reduce the impact of mental health issues on their lives and on their work. These benefits can include stress classes, access to counseling, or onsite guidance available for employees,” said Challenger. Another way to help employees cope with mental health issues is to shape company culture in a way that removes the stigma around mental illness. Organizations like the Marketing Society have encouraged employers to pledge their support of employees with mental health issues in an effort to make mental health a less taboo topic at the workplace. Beyond pledging support and offering benefit programs, employers should lead by example, making it easy for workers to discuss their mental well-being with human resources representatives and making resources available so that their concerns are addressed with care. Human resources departments should be open to making reasonable accommodations and regularly check in on employees’ mental health. “As of right now, there is no way to cure most mental health issues, but as an employer, you can do a lot to help employees make the most of their situation and feel comfortable at work. It’s up to each employer to make sure that the culture they foster is one that allows employees to express concerns and feel safe,” said Challenger. “Not only will this have a positive impact on workers’ mental health, but it will also foster loyalty and increase morale within the organization. An employee will work more efficiently when they don’t need to worry about whether their employer will support a potential mental health issue,” added Challenger.